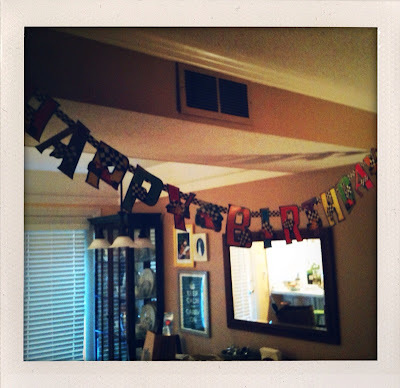 the dollar store racecar banner...we sneak in the night to hang up to "surprise" the other person. Maybe 26 won't be so bad? Now it needs a candy corn house? Hope you are having a wonderful 26th birthday!